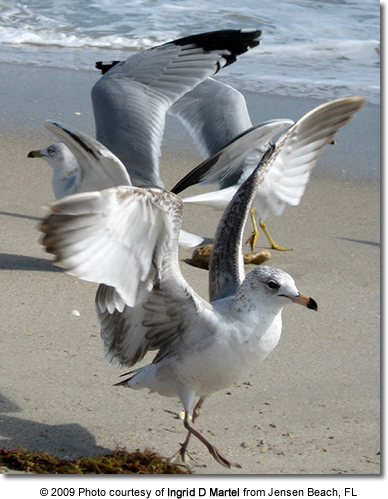 Gulls belong to a bird family known as Laridae. 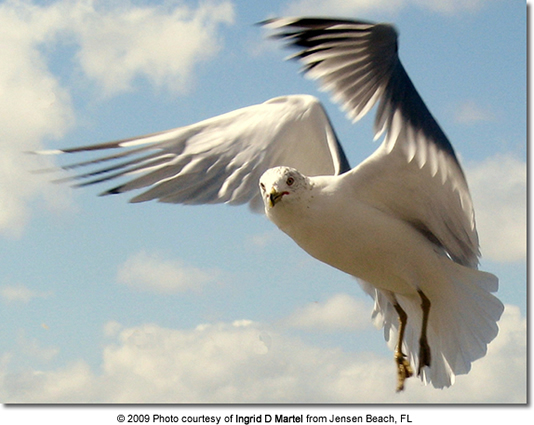 In common usage, members of various gull species are often called sea gulls or seagulls. They are most closely related to the terns (family Sternidae), auks and skimmers, and more distantly to the waders. 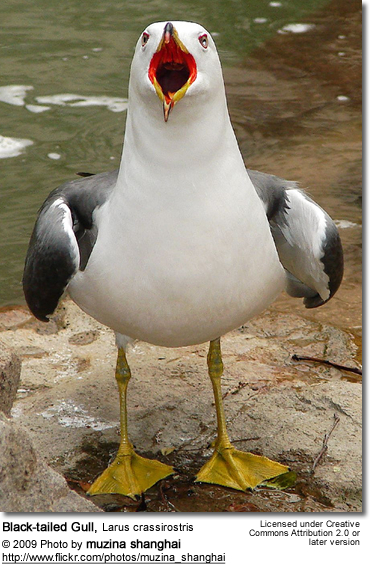 Most gulls belong to the large genus Larus. 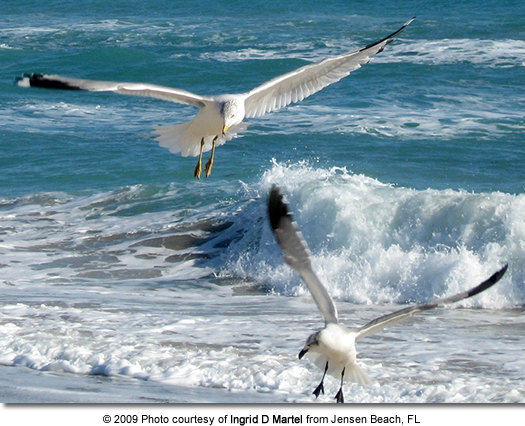 Apart from the kittiwakes, gulls are typically coastal or inland species, rarely venturing far out to sea. They are generally medium to large birds, typically grey or white, often with black markings on the head or wings. They have stout, longish bills and webbed feet. 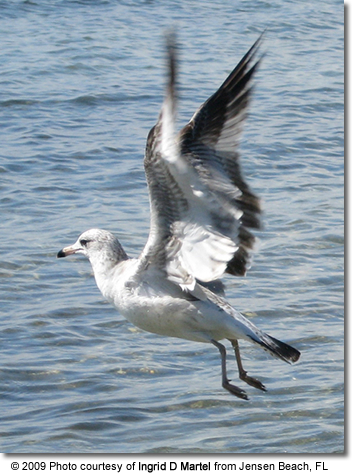 The larger species take up to four years to attain full adult plumage, but two years is typical for smaller gulls. Most gulls, particularly the Larus species, are ground nesting carnivores, which will take live food or scavenge opportunistically. The live food often includes crabs and small fish. 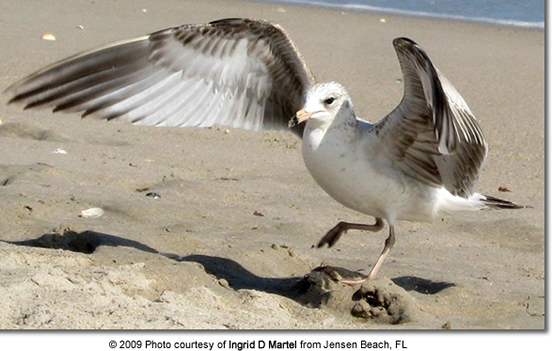 Many species of gull have learned to co-exist successfully with man and have thrived in human habitats. Others rely on kleptoparasitism* to get their food (*form of feeding where one animal takes prey from another). 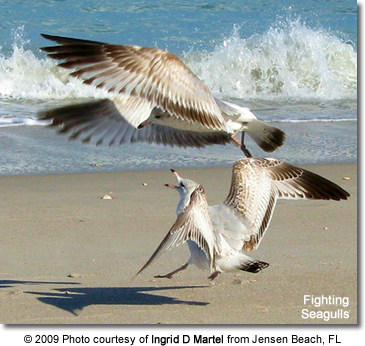 Gulls — the larger species in particular — are resourceful and highly-intelligent birds, demonstrating complex methods of communication and a highly-developed social structure. Certain species (e.g. 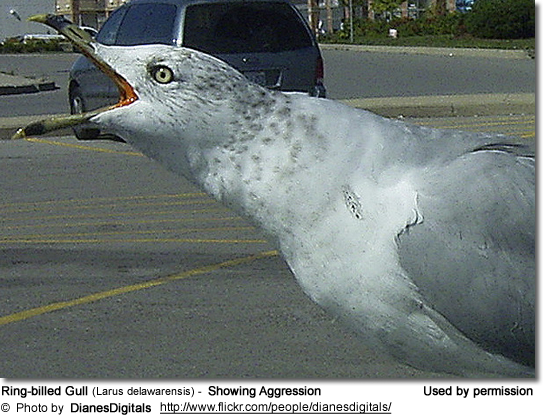 the Herring Gull) have exhibited tool use behaviour. 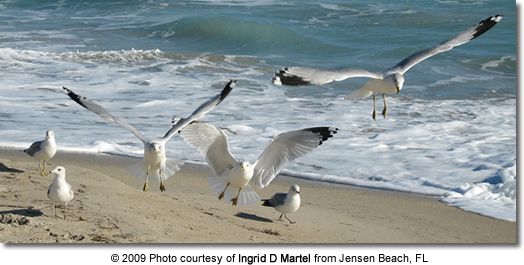 Hybridisation between species of gull occurs quite frequently, although to varying degrees depending on the species involved. 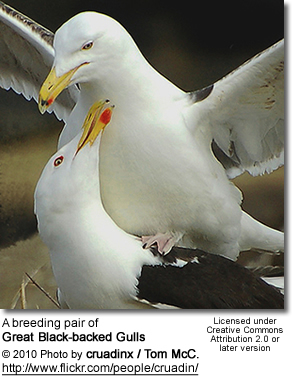 The taxonomy of the large white-headed gulls is particularly complicated.